The international chemical weapons watchdog on Thursday confirmed Britain's finding that a former spy and his daughter were poisoned with a nerve agent. 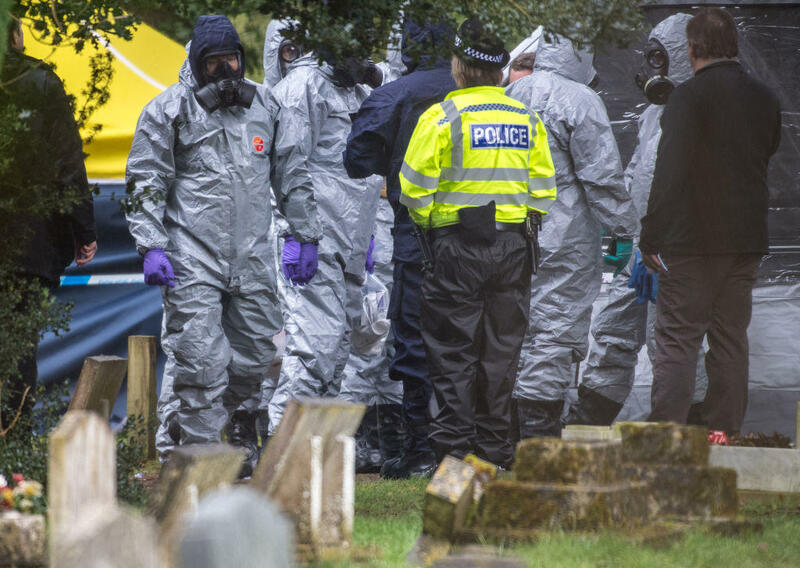 The report released by the Organization for the Prohibition of Chemical Weapons said its investigation had "confirm(ed) the findings of the United Kingdom relating to the identity of the toxic chemical that was used in Salisbury." It said the chemical was "of high purity." The summary did not name Novichok - the name that was previously given by British Prime Minister Theresa May - but said the details of the toxin were in the full, classified report. The report did not identify the source. Following the release of the report, U.K. Foreign Secretary Boris Johnson said that only the Russians had the "means motive and record" to launch a nerve agent attack on Sergei Skripal and his daughter, Yulia . Johnson said "there can be no doubt what was used and there remains no alternative explanation about who was responsible." Britain has blamed Russia for the March 4 poisoning of Sergei and Yulia Skripal with a nerve agent developed by the Soviet Union. Russia has denied any involvement, saying Britain hasn't provided any evidence for its assertion. The findings come after Yulia Skripal on Wednesday rejected Russian Embassy assistance as she recovers at an undisclosed location. Yulia, 33, was released from the hospital earlier this week, but her father is recovering more slowly. "I am not yet strong enough to give a full interview to the media, as I one day hope to do," Yulia Skripal said in a statement released by London's Metropolitan Police. "Until that time, I want to stress that no one speaks for me, or for my father, but ourselves." The comment came after Yulia's cousin Viktoria gave a series of interviews about a telephone conversation between the two, leading the British government to claim that Russia was using Viktoria Skripal as a "pawn" in the dispute between the two sides. Russia's Embassy in London questioned the authenticity of Yulia's statement, saying it was crafted to support Britain's version of events and increases suspicions that she is being held against her will. British authorities "must urgently provide tangible evidence that Yulia is alright and not deprived of her freedom," the embassy said in a statement. "The text has been composed in a special way so as to support official statements made by British authorities and at the same time to exclude every possibility of Yulia's contacts with the outer world - consuls, journalists and even relatives," the embassy said. "The document only strengthens suspicions that we are dealing with a forcible isolation of the Russian citizen."